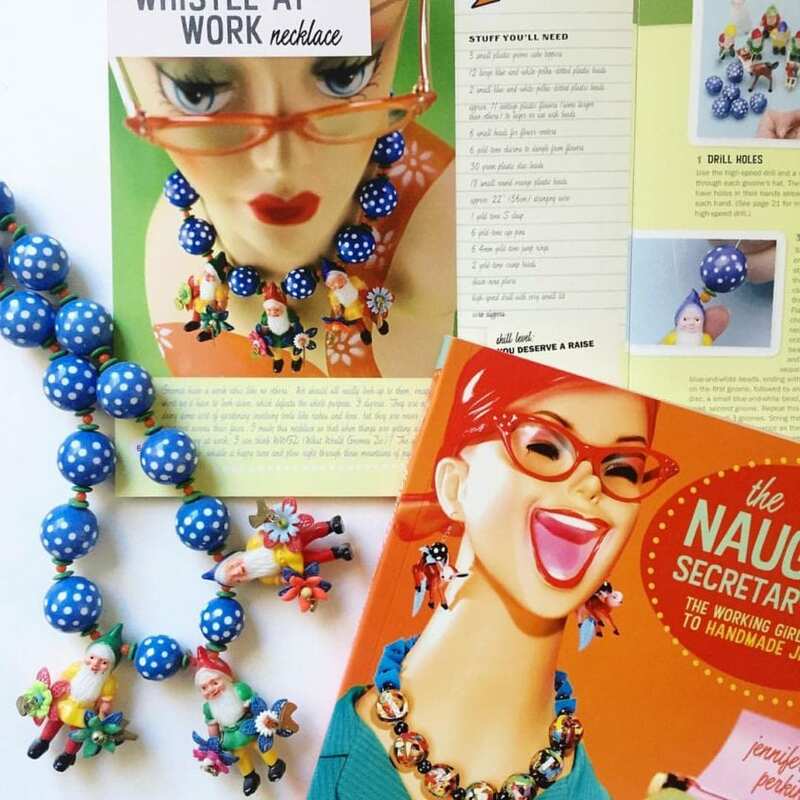 If you are familiar with my book The Naughty Secretary Club: The Working Girls Guide to Handmade Jewelry or my work you know that I am firm believer in the mantra that if it will sit still long enough it will eventually get made into jewelry. Choosing the right drill for the right job helps you make things like vintage gnomes look better around your neck than they ever did on a cake. In the video below I’m talking all about Crop-o-Diles, Tim Holtz Drill Punches, Fiskars Hand Drills and more. PLUS – I’m having a give away on my Facebook Page where I originally filmed the video. Posted July 21, 2016 & filed under Crafts, Videos, Wearable Crafts. I love this because you can find things around your house to make jewelry too! Thanks for sharing with us at Family Joy Blog Link Up Party this week! Have a lovely week! Hi Jennifer, oh my gosh you are so cute, I cant remember stopping by your blog, but now I am stalking you everywhere and shared your video!!! Oh and BTW, I found this post on Kleinworth Linkup today. Just thought you would want to know. You are so cute Karren. Glad we found each other. I love that gnome necklace…it’s so adorable! Thanks for sharing with us at Share The Wealth Sunday. I hope we see you again tonight!